This franchise is operated by the Panama City Division. The Dothan franchise was purchased on February 2, 1985, from Coastal Beverages. 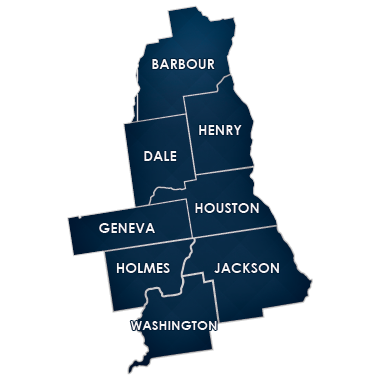 The division is located in the southeast corner of Alabama servicing the counties of Barbour, Dale, Geneva, Henry and Houston, in Alabama and the counties of Holmes, Jackson and Washington, in Florida. This area is affectionately known as the “Wiregrass”, which has a population of 220,000. In 1986 the Dothan Division expanded its business with the addition of the General Food’s/Maxwell House Coffee Products. In 1990 the division branched out into the Full Line Vending business with the purchase of Food Services, Inc. and again in November of 1994 with the purchase of Canteen Services of Northwest Florida. Buffalo Rock Company purchased Panama City’s Byrd & Son Beverages on November 15,1986 from Isaac Byrd. Established in 1931, the Byrd & Son Beverages was originally a 7UP and Dr Pepper bottler with a line of various other flavors. The franchise rights for Pepsi-Cola were later acquired in 1956. Buffalo Rock Company now serves the same geographical area, including: Bay, Calhoun, Gulf, Walton and parts of Washington and Franklin Counties with a total population exceeding 190,000. In January of 1992, the Panama City Division expanded the business to include snacks and developed a Full Line Vending operation. Full Line Vending grew substantially with the purchase of Canteen Services of Northwest Florida in November of 1994. A commissary with a full kitchen was completed in October, 1997, to support the snack, and soft drink vending. 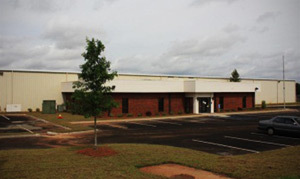 The kitchen facility enabled the business to secure contract food line services for local industry. The Panama City Division team of over 260 dedicated employee-partners has committed to a mission of being the “best of the best” in the industry with a goal or remaining the NUMBER ONE soft drink and full line distributor in its franchise territories.